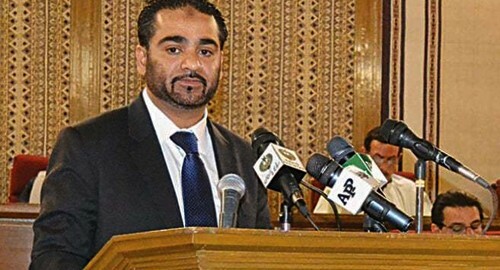 QUETTA (92 News) – Balochistan Adviser on Finance Mir Khalid Khan Langau has tendered his resignation. Khalid Langau said that there is no moral justification to continue with the portfolio. He said that he completely trusted the NAB and other democratic institutions. He said that he was tendering his resignation for fair and transparent investigations into the recovery of a huge quantity of currency notes and gold from the house of Secretary Finance Mushtaq Raisani. Meanwhile, Home Secretary Akbar Durrani has been given the additional charge of the Finance Department.